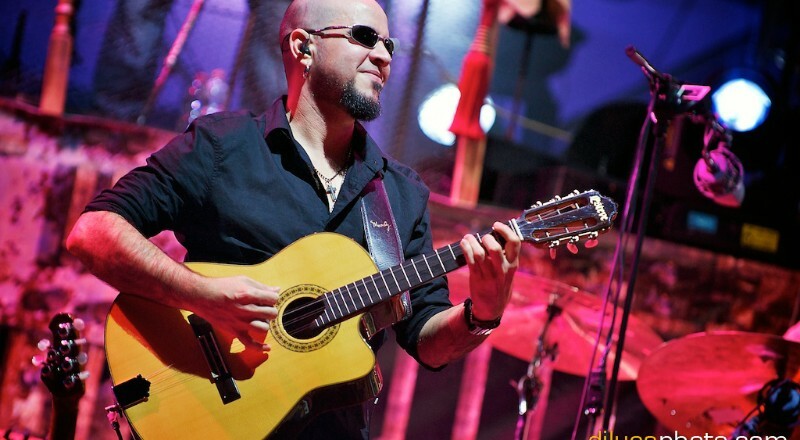 On May 2, 2013, the musician Elmer Ferrer, played in the Arena of Verona, Italy. 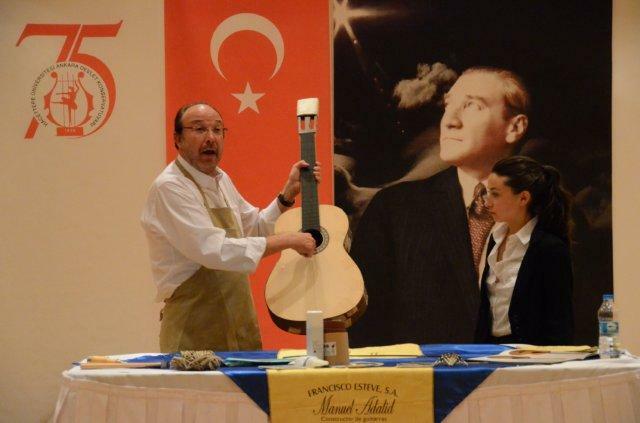 Concert within his European tour with Zucchero, in the presentation of his latest work “La Sesion Cubana” playing our guitar Model Tres Cubano produced for him. 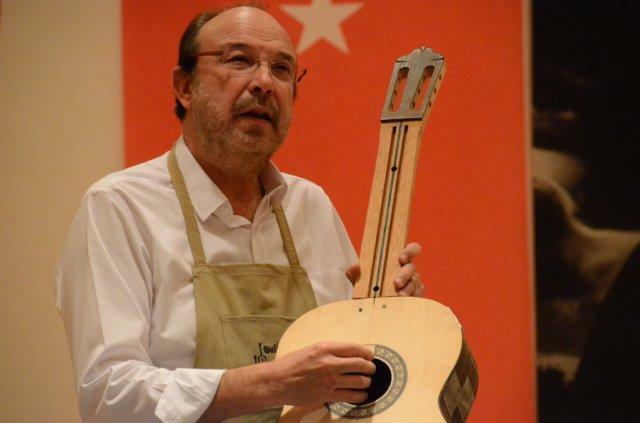 From more than 35 years, Guitarras Francisco Esteve, SA was present once more in the last edition of the Music Messe Frankfurt 2013, showing the full range of instruments and recently added new models to their catalog under the signature of its luthier Manuel Adalid. 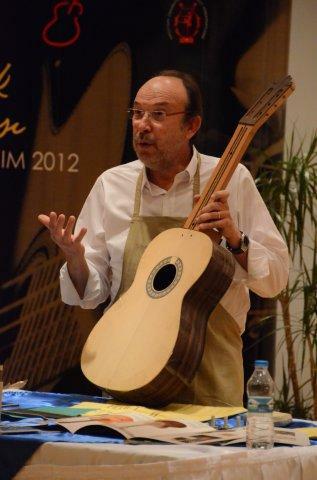 The Luthier Manuel Adalid has taken a course in Shellac varnish, with various application techniques. 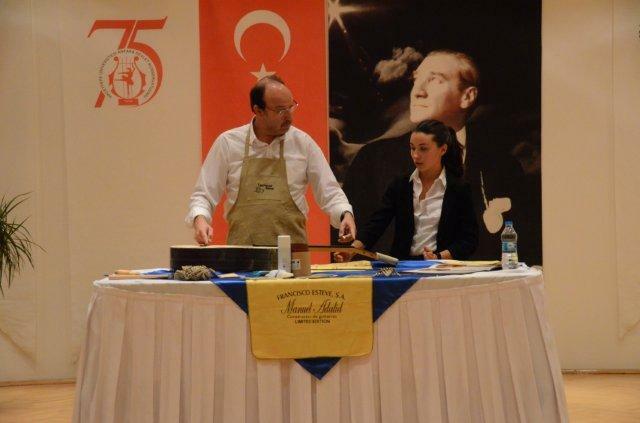 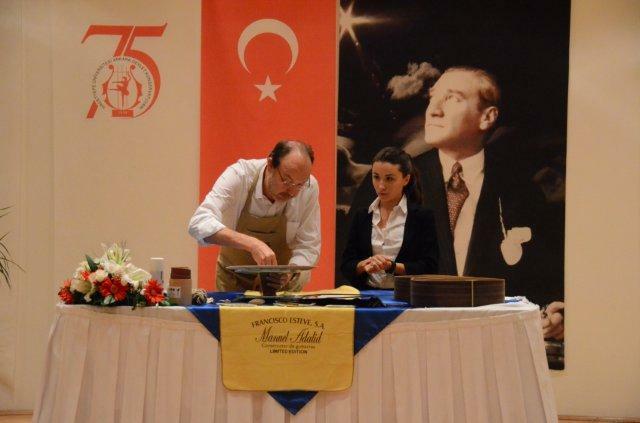 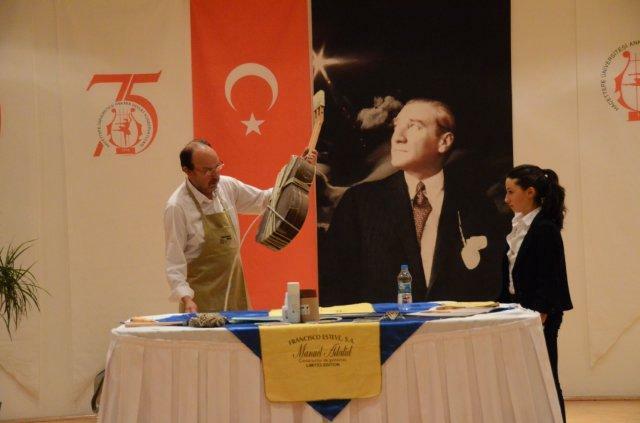 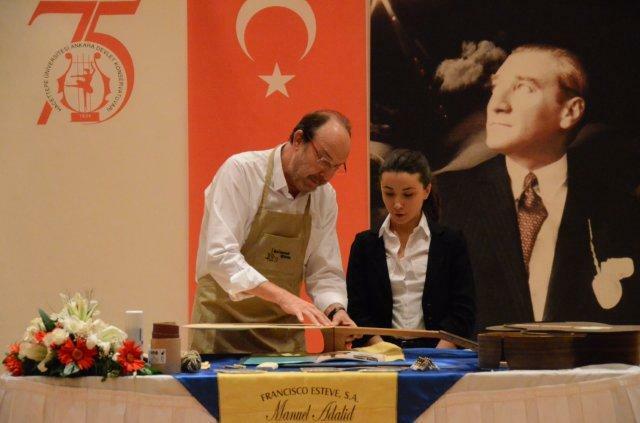 The course has been taught by Master Mr. Marschall Brune in Chicago, USA. 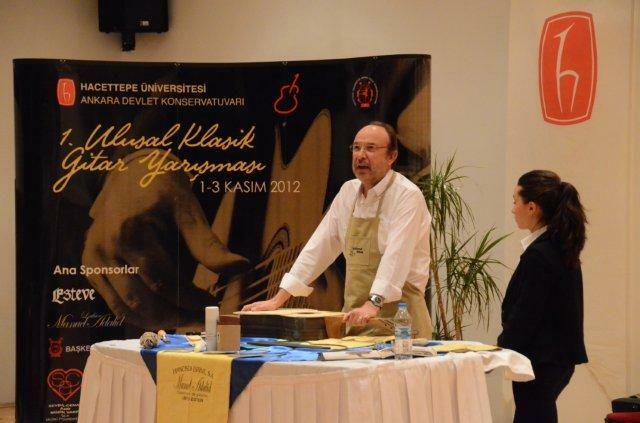 In the pictures you can see how Mr. Adalid applies the coating on Sitka spruce and Madagascar rosewood. 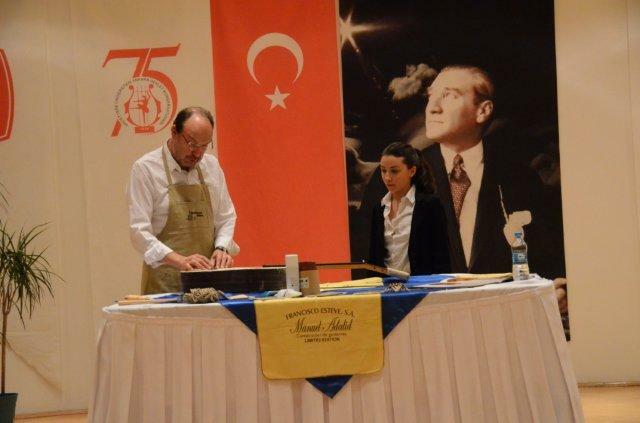 Mr. Adalid knew the Spanish traditional application technique and this course has known the different techniques of application of Shellac and brought up to date knowledge. 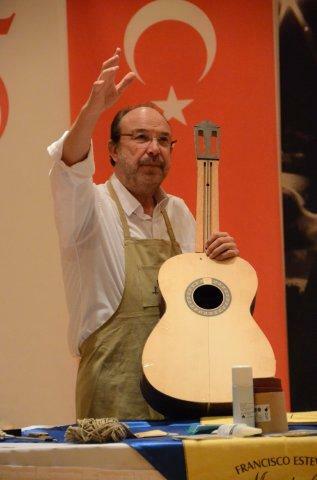 Guitar Stand Fco Esteve, SA – during the last Shanghai Music Show 2012, last October. 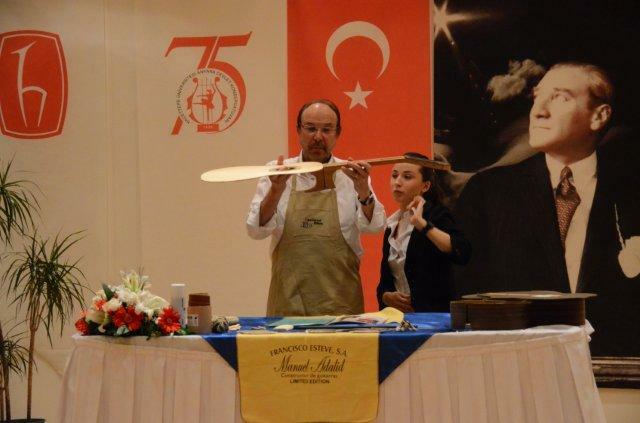 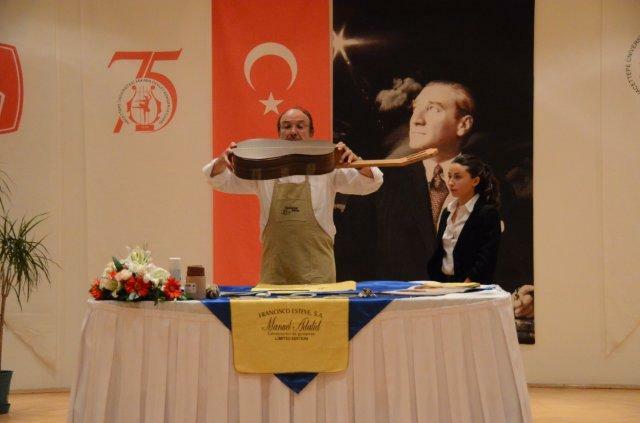 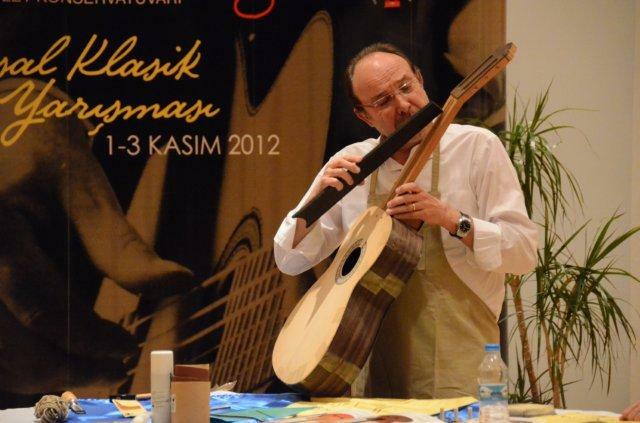 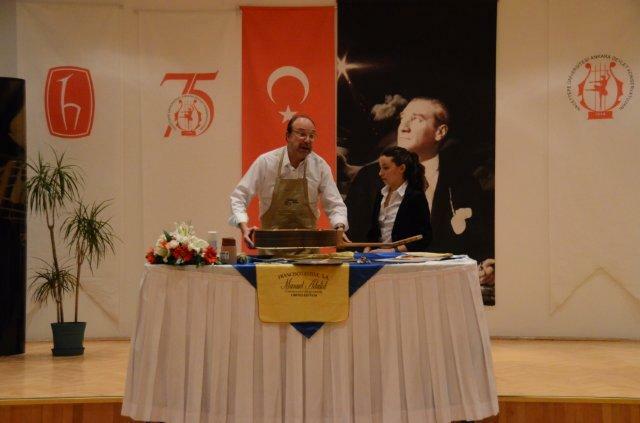 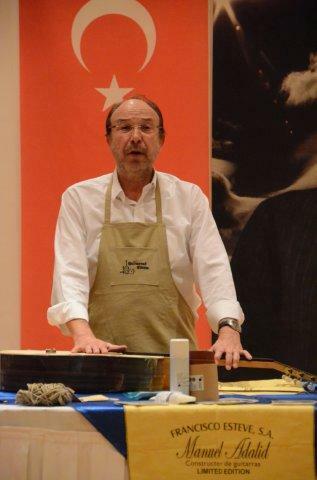 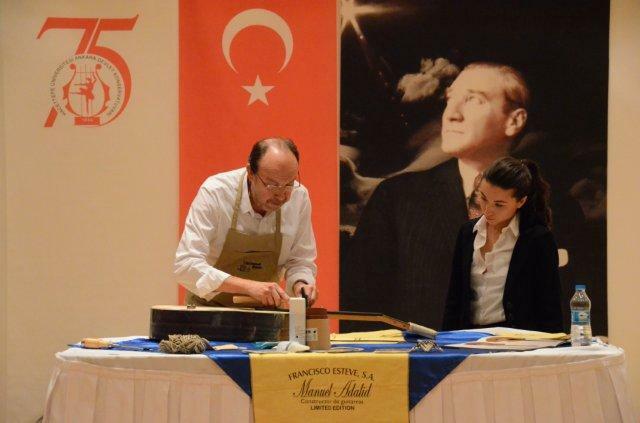 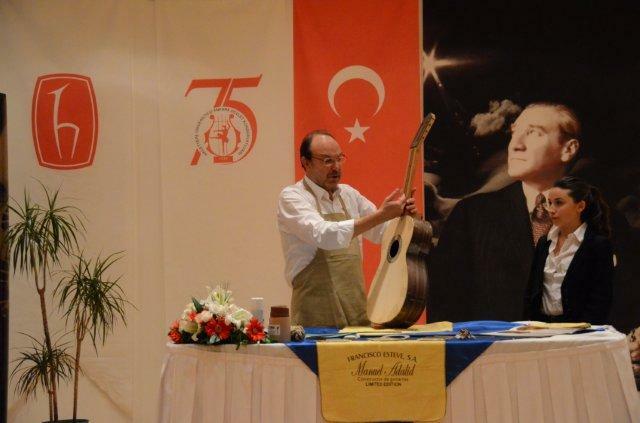 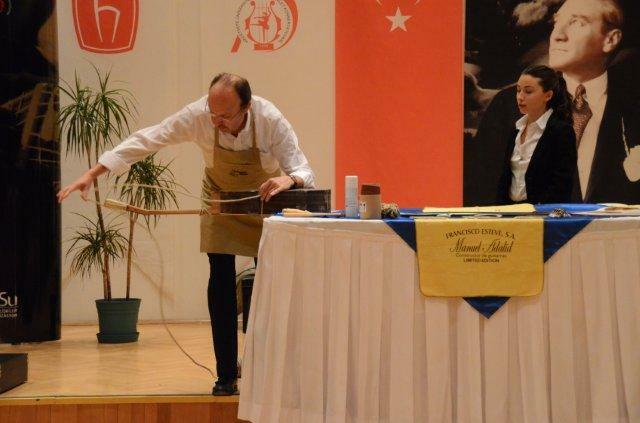 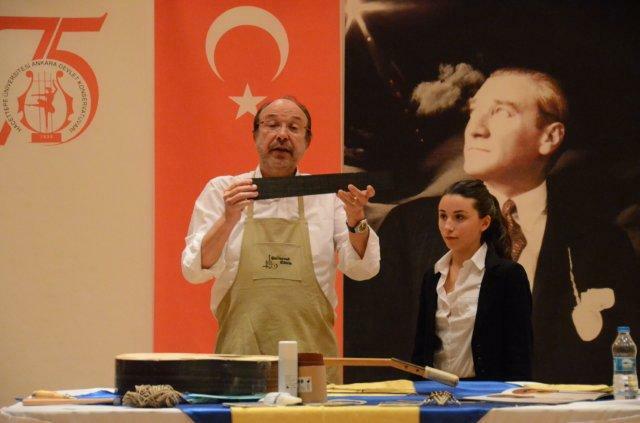 Conference hosted by Manuel Adalid at Hacettepe University in Ankara – Turkey on the construction system of the Spanish guitar.